Xperia PLAY confirmed – Sony Ericsson announces "World's first Sony PlayStation certified smartphone"
The “PlayStation Phone” has just been announced by Sony Ericsson under the expected name of Xperia PLAY, via the medium of the full, extended version of the Xperia Play advert on YouTube. It’s real. You can stop worrying about it not being real. Introducing the World’s first Sony PlayStation™ certified smartphone, the Sony Ericsson Xperia™ PLAY. Powered by the latest Android Gingerbread operating system, it’s a super-fast, super-efficient smartphone to help you manage your super-busy life. Want multi-key action, incredible graphics, awesome sound and real console controls? Your fantasy is now a reality with the Xperia™ PLAY. Definitely real. REAL! Definitely not a fake. NOT FAKE! The “PlayStation Phone” is coming. 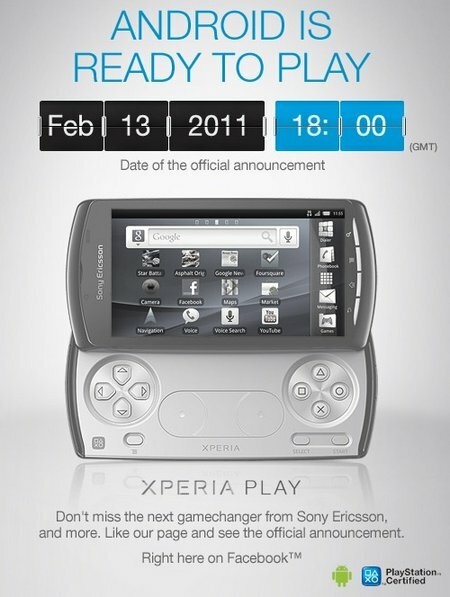 We like the way Sony Ericsson is writing PLAY in capital letters, too. Plus Android 2.3 onboard from launch. This will be a momentous telephone. It’ll be worth buying a spare to keep in a box, unopened. “We” … “like” … “Sony” …? Ericsson. Just call it Ericsson and it’ll be OK.
Why not launch 14th Feb ? This interferes with Sunday viewing of Country File or Antiques Roadshow,that said, I wonder what David Battie would say if you brought this along to AR 2098 ?